The product arrives in the mail through the UPS. I don't see any signs of damage that I was able to check out the item right away. Look way too big because of the size, however, then it serves its purpose. Lightweight, the fabric is absorbent. The plastic is clear enough that you won't have a problem whenever you use the touch screen, meaning you can still use your device if you need to even if it's in the phone holder. The Velcro is very strong. 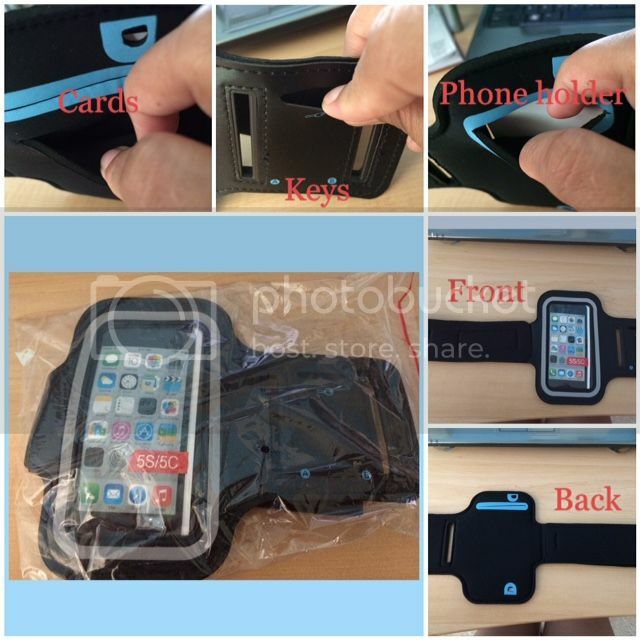 I like how you can put your key and some of your cards in the back of the armband. One thing I don't understand about the product is that there was a hole that was supposedly for the power button? Yet when I look it was placed on the other upper right, whereas the power button was on the left. Other than that, I have no problem using the armband. I am comfortable and I don't itch with the material they use while sweating in that area. This is great! It's also so affordable. Awesome deal from Amazon. I want this especially when I go for my walk or run. It would be nice to have.